Founded in Freeport, Maine, USA in 1912, L.L. Bean is more than a store to thousands of outdoor enthusiasts. It’s an iconic and much-loved family business. 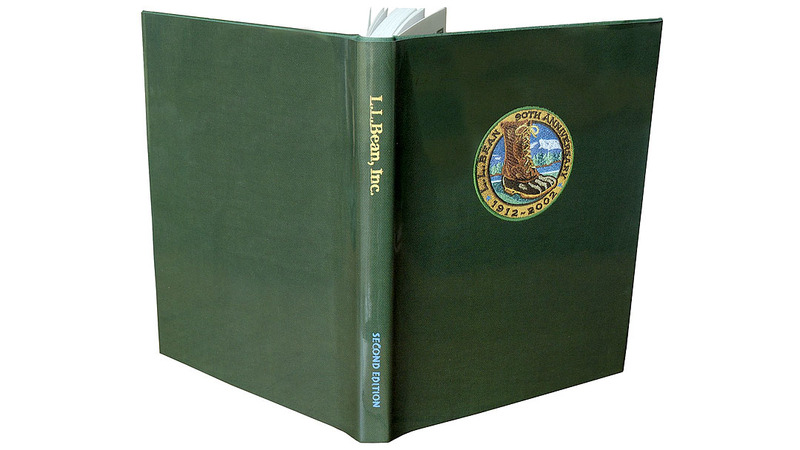 In the 1980s Bean asked me to create a book for their 75th anniversary; this enlarged second edition marks the company’s 90th. The book resembles a scrapbook, filled with clippings and photographs that present a rough chronology of the company’s history. As the project initially took shape, I recognized the depth and breadth of the story to be told, and invited my friend William David Barry, who is a life-long Maine historian, to join me as co-editor. 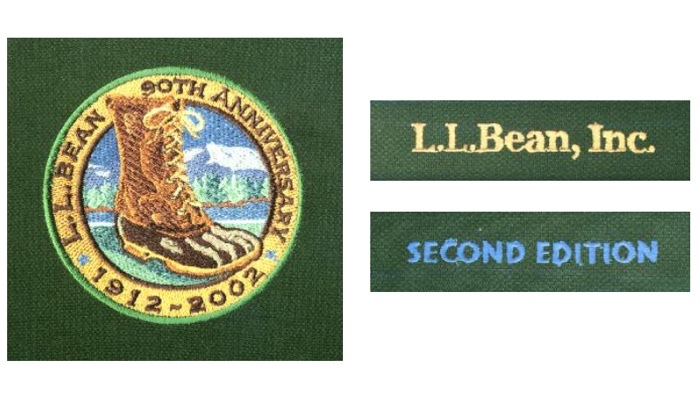 To make the dust jacket of the 90th anniversary edition true to the spirit of Bean, I asked the embroidery department to stitch the anniversary emblem and the spine type onto a piece of backpack nylon; I then photographed this to create the jacket. Two thousand hardcover and 18,000 paperbacks were printed.